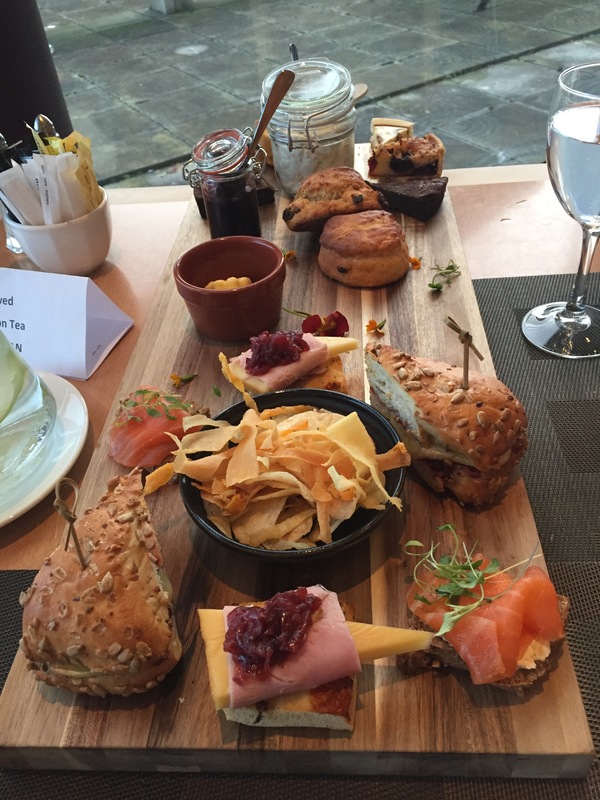 I recently saw a deal on Living Social for afternoon tea at the Hilton Hotel in Belfast. I was unaware the hotel did high tea so thought this was a great opportunity to check it out. We booked a table for two for Sunday afternoon and were shown to a seat which had a lovely view over the water with the H&W cranes in the background. A lovely Belfast picture. We were asked if we would like anything to drink to which we both replied tea. We weren’t shown a tea menu (which I would have liked, so I could see the flavoured/fruit teas) but were more than happy with the breakfast Suki tea which arrived. We waited for the food and it came at about 3.30pm. I felt this was a little slow as we had booked the table for 3pm. Nonetheless, when the food it arrived, it made up for the wait. 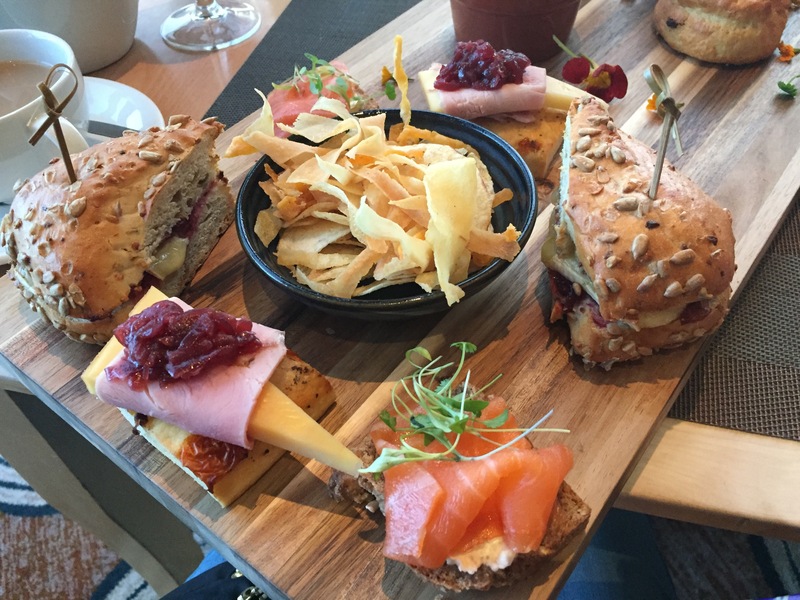 To start, we had a lovely selection of sandwiches, which included smoked salmon and creme fraiche on wheaten bread, as well as sour dough bread with mature cheddar, cured ham and apple chutney. This combination worked very well and I’m lucky that my sister isn’t a huge cheese fan, so I got to eat both! 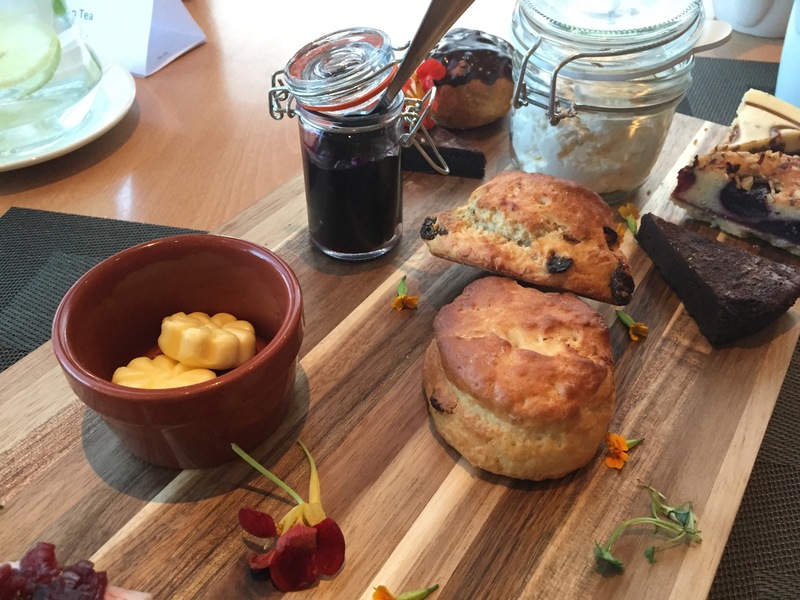 We then moved on to scones, which came with butter and two jars filled with jam and cream. Finally (the best bit!) 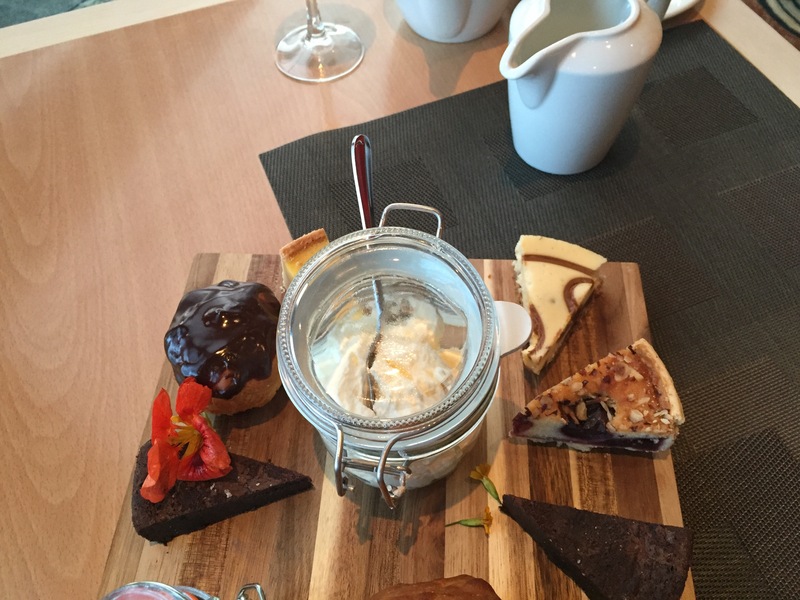 we were treated to tasty petit cakes, including a dark rich chocolate tart, a tangy lemon tart, creamy cheesecake and a large profiterole. I enjoyed every single dessert, particularly the cheesecake. 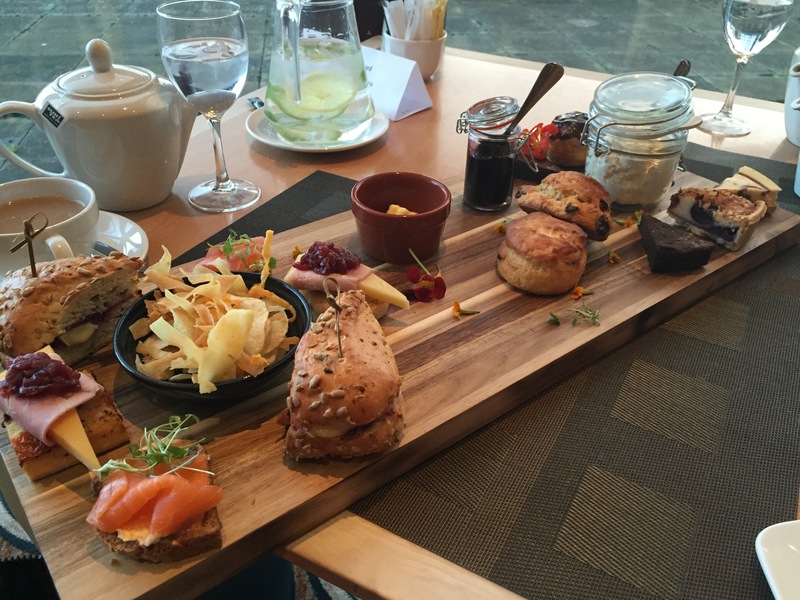 Another Belfast afternoon tea ticked off my list!